When you need to streamline internal processes, investing in systems integration and data integration to maximise your business applications certainly makes sense. Our software development team has a pedigree track record in joining databases and data sources together to provide new, valuable information and create new products. Avoiding having to re-key the same data into your systems twice or more helps your company build efficiency and develop a competitive edge. Which is why it’s important to capitalise in robust systems and/or application integration as soon as you can. We have successfully integrated large, complex data sets, sometimes belonging to more than one company, to build simple data sources accessible via a web service or mobile application. Microsoft SQL database; on premise, in the cloud or hybrid is a favoured option. 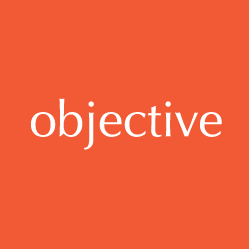 The team at Objective IT impressed us from the first day with a clear focus on our needs, the flexibility and determination to deliver against complex requirements, and their constructive, collaborative attitude. Bastian Giegerich, Director of Defence and Military Analysis, IISS. The Objective IT team is skilled in systems integration and database integration. This is the process of linking together different computing systems and software applications physically or functionally to act as one coordinated system. We assist with the integration of these components and bespoke-build any additional functionality. We have more than 20 years of IT system integration experience, working with large multi-national companies and niche players in the travel, property and media sectors. Our deep industry knowledge, skilled people and can-do approach ensure we are a leading provider of business integration solutions in Essex and throughout the UK. When collaborating with a client on a systems integration project, we take time to understand their goals and work to seamlessly integrate an accelerated solution to achieve these aims. Using the very latest technologies, combined with our expertise in linking systems, we solve industry-specific or shared business problems. Application integration involves combining data or functions from one application with another. As with system integration, application integration can save a company time and money by improving efficiency and productivity amongst staff. Objective IT has been awarded Microsoft Gold Competency in Application Integration, which means we have surpassed Microsoft’s Key Performance Indicator benchmarks for quality, value, the ability to meet customer needs and the technical competency of staff. For more information on what it means to be a Microsoft Gold Partner in Application Integration, and how this accreditation has enhanced our application integration services, please view our press release. If you find yourself regularly re-keying information into more than one system, we can build an interface that integrates systems that are already deployed, providing automated processes and a logical flow of information. If you have disparate systems such as databases and data sources that don’t talk to each other, we can write the relevant code and develop custom programmes to successfully combine the systems into one central hub to provide reliable, accurate data.